Prince has been known to headline arenas, but the Purple One will be playing some comparatively intimate venues when he hits the road this spring for a tour of North America's western region. This trek includes stops in seven cities. Prince will play four gigs per city, with both an early show and a late show on consecutive nights. 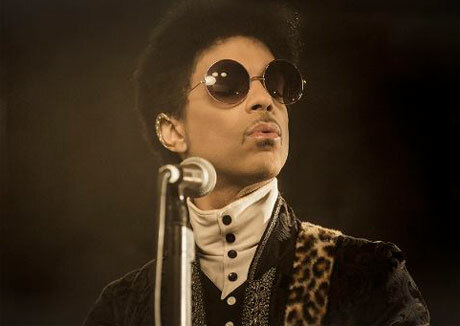 The outing kicks off in Vancouver at the Vogue Theatre in April, and Prince will then head to the U.S. for more dates. The tour was announced yesterday (March 20) by Prince's backing band, 3rd Eye Girl, during a web chat hosted by site Dr. Funkenberry [via Consequence of Sound]. Watch the playback here, and see Prince's dates with 3rd Eye Girl below. Most dates and future plans may reportedly be announced shortly. UPDATE: You can now buy tickets here, and see added dates in Portland and Denver below.